Portrait, February 2014, Oil on Canvas by Harding Meyer © 2014. 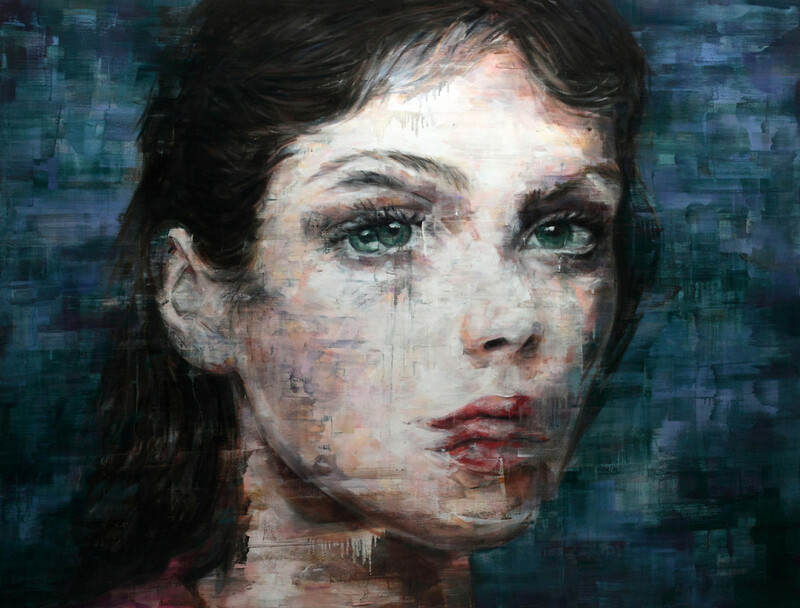 Harding Meyer's current exhibition focuses on the face. His images come from the anonymity of media portraits which he transforms from plastic mass produced faces to intimate, mesmeric portraits. His technique plays with the glitchiness of computerised faces - pixilated, pigmented - which he makes human again, in arresting expressions. You can find out more about his work here.